The whole soap-opera that singer Geoff Tate and his former band mates in Queensrÿche has been through for the last years has been written about to death, so let’s leave that crap behind now, once and for all. Let’s just state that it was a good thing that the whole band name thing was settled out of court. That the Queensrÿche guys had to pay a large sum of money for Tate to let go of the name isn’t a wild guess, but that’s in order, Tate should not leave this deal empty-handed. We can also state that it was the only correct decision. Because what Tate’s last studio effort proved – the ridiculous named Frequency Unknown (2013, reviewed here) under the Queensrÿche banner – was that Tate’s voice alone did not make a Queensrÿche sounding album. That record sounded like a Geoff Tate solo album and the re-recorded Queensrÿche songs on it had lost all of the Queensrÿche sound, because it wasn’t Queensrÿche playing. It was a bit sad because the cover said Queensrÿche so it must be judged as a Queensrÿche record and as a Queensrÿche record, it didn’t stand a chance. Had Tate released it as a solo album, it would have been reviewed differently. That said, the record wasn’t all that bad and there were some good stuff on it – “Weight Of The World” was a brilliant tune that would have stood proud on any classic Queensrÿche album. So it feels really great to be able to review Tate’s new record for what it is – a Tate-band record. It’s just too bad that Tate couldn’t let his old band go all the way – naming his outfit Operation : Mindcrime is not only unimaginative, it’s also painting yourself into a corner. Why don’t start fresh with a completely new name or go solo instead of going back – everybody knows that Tate is Queensrÿche’s first singer anyway. Besides, Tate has made it clear that Operation : Mindcrime isn’t a band but a project that will use the best available musicians around at the time of playing live / recording. As for now, this project has two guitarists – Kelly Gray (ex- Queensrÿche) and Scott Moughton, bass player John Moyer (Disturbed), keyboard player Randy Gane and two (!!??!) drummers in Brian Tichy (ex- Whitesnake, Pride & Glory, Foreigner, S.U.N.) and Simon Wright (AC/DC, Dio, John Norum). How long this line-up will last remains to be seen. Anyway, I actually did look forward to hear what Tate and his band had come up with this time. I can’t say that I had very high expectations, but on the other hand, this is the guy who was 1/5 of a band I have loved dearly from their debut album The Warning (1984) up until their fantastic Promised Land (1994) and a singer I have rated as one of the best rock singers ever. The fact that Tate has lost some of his range is natural and it comes with age, although the way he sang when I last saw them live in 2011 was horrible. Let’s hope that he has taken care of his voice since then. Apparently, The Key is a concept album, the first one out of three and the story is… well, I’m actually a bit confused about this. I really can’t find anything about the story online, so if anyone has a clue, please post in the comment section. Now, forward to the music. The album opens with “Choices”, a thing that is like a mix of a “real” tune and an intro. Let’s call it… a songtro..? Anyway, the tune has a cool vibe that build an atmosphere and for me it really clears the way before the next tune “Burn” kicks in. “Burn” is dark and heavy and has an alternative touch that reminds me of the Q2K (1999) album. Now, before you run for the door, I am not a fan of that album at all, but this tune is really good. Tate sounds good as well even though he’s singing in his lower register. The guitar solo, however, is pretty awful. Next up, “Re-Inventing The Future”. I’ll tell you, it’s an awesome tune, maybe the best Tate has brought along in ages. 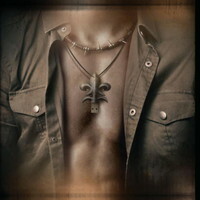 Sound wise, it’s back to the Operation : Mindcrime (1988) / Empire (1990) days and Tate’s vocals sounds great. Am I the only one who hear pieces of “The Mission” in this? “Ready To Fly” is also a good one. It too has an alternative twist, but with a progressive sound, lots of keyboards and a 70’s vibe. “Discussions In A Smoke Filled Room” is more of an intermission than an actual song, but the spacey vibe sounds really cool. “Life Or Death?” is more of straight forward, catchy rocker. It’s the album’s sore thumb as it is both written and sung by one Mark Daly of the band The Voodoos. Why Tate has decided on doing this, I’m clueless of, but Daly is very good singer and the song is really good, but why let another singer sing on his own record? “The Stranger” brings on a dark and brutal almost industrial touch that goes along great with the heaviness of the song. The bass reminds me of Korn. Good song! The album’s big down fall comes with “Hearing Voice”, a noisy tune that sounds unfinished and without a distinct melody. This has more in common with the later Queensrÿche garbage that no-one likes – skip! “On Queue” is a pretty good slow and jazz influenced tune that holds a killer saxophone solo by Tate. “An Ambush Of Sadness” is an instrumental acoustic little piece – good enough, but it’s the kind of song that really does nothing at all for the album. “Kicking In The Door” sounds like the later Queensrÿche album. It’s ok, but it really doesn’t go anywhere. It reminds me of Tate’s first self titled solo album from 2002, but more guitar oriented. I really like that album, but this song is don’t do it for me. Finishing track “The Fall” is great, though. Very atmospheric, slow, heavy and dark with a great, memorable melody. I must say that this record is a really happy surprise. To be honest, I didn’t have the biggest expectations on this record. Frequency Unknown was underwhelming and even though Tate’s second solo album Kings And Thieves (2012) sure had its moments, I never ever pick it up for a spin anymore. There are a few songs that really sound like Queensrÿche, but for the most part the only Queensrÿche influence is Tate’s voice – a voice that sound stronger than in many years. And that is a good thing, Tate has found a new path to take his music and without all the fighting and setting court dates, both Tate and his former band mates can focus on the important thing – the music – and that shows. Geoff Tate is having fun again and if this album is anything to go by, he’s happy and ready to rock. Yes, I had written him off as a has been, much for his erratic behaviour and the way he almost ran Queensrÿche to the sewers musically, but also for the fact that he seemed to have forgotten how to write a great song, he seemed to concentrate more on being artsy fartsy than to do what he does best – rock! What first looked like an overblown and pretentious give-me-attention kind of thing, the whole three-part story album releases now look a natural progression and for the first time in a long, long time I actually look forward to find out what Tate is up to next. Well done, Geoff and welcome back! As a side note I might add that this album is a grower. I didn’t really get it the first time, but after a few more listens, the album has hit home!